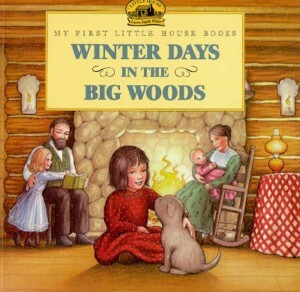 Anyone who knows me even moderately well understands how much I love the Little House series by Laura Ingalls Wilder. No, not the television series (though I can now as an adult see the appeal of it as well), but the original book collection that follows the pioneering family Ingalls, and later Laura and her husband Almanzo, as they plant roots in America. I couldn’t wait to introduce my children to the collection, and now that my son is five, we cap off each evening’s story time with a chapter from one of the books. My daughter, age 2, however, is far too young for the chapter books, and even my son wishes there were more pictures to examine. Enter the thirteen books of the My First Little House series. 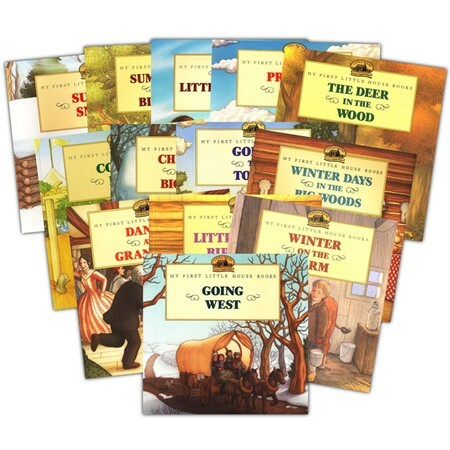 Each volume covers a story from Little House in the Big Woods, Farmer Boy, or the beginning of Little House on the Prairie. Illustrator Renée Graef’s enchanting full-color illustrations were inspired by Garth Williams’ classic artwork, but make no mistake, they are unique and magnificent in their own right. 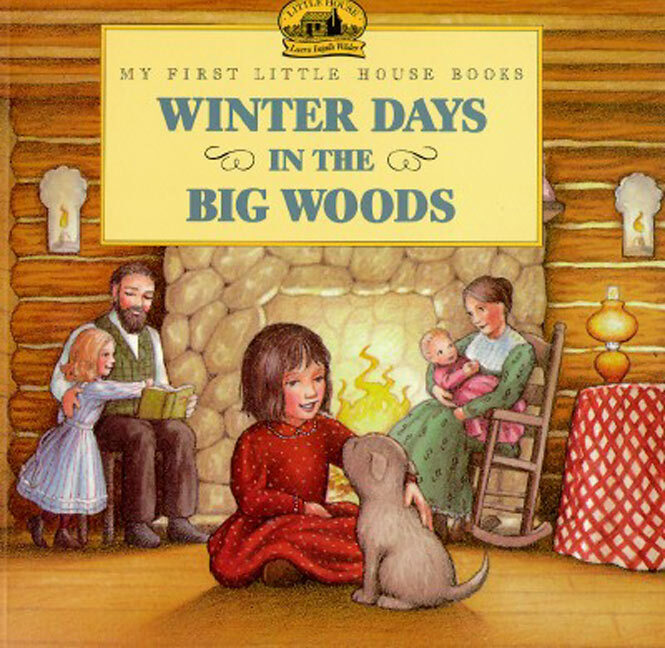 In the first few volumes we experience summer, winter, holidays, and visits to town from the big woods of Wisconsin with Pa, Ma, Laura, big sister Mary, baby sister Carrie, and their good old bulldog Jack. Volume 7, Going West, relates the days just prior to the Ingalls’ departure from Wisconsin. The early morning scene in which Laura, Mary, Carrie, Pa and Ma bid farewell to their dearest relatives stirs even the hardest heart. They leave knowing they might well never again see their loved ones who stay on in the big woods. 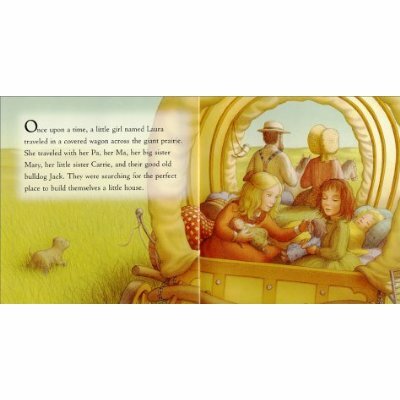 Book nine, Prairie Day, invites us inside the covered wagon as the family journeys across the Kansas prairie in search of a new home and life. 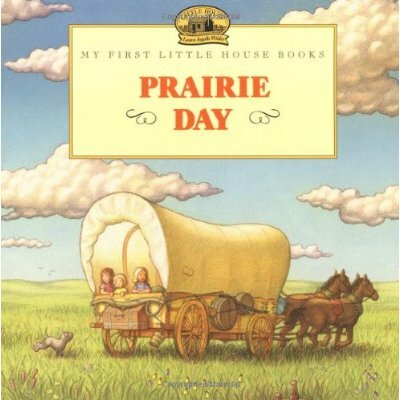 And in the final book of the series, A Little Prairie House, we watch as Laura and her family build their new home. “Long, long ago, a little girl named Laura Ingalls headed west toward the prairie with her Pa, her Ma, her sisters, Mary and Carrie, and their good old bulldog, Jack. They traveled far each day in their covered wagon, driving through tall grass until they found just the right spot for their new home. With the help of their kind neighbor, Mr. Edwards, Pa built a snug little house for the family in the middle of the wide-open prairie” (Amazon). A nice synopsis here of each book. 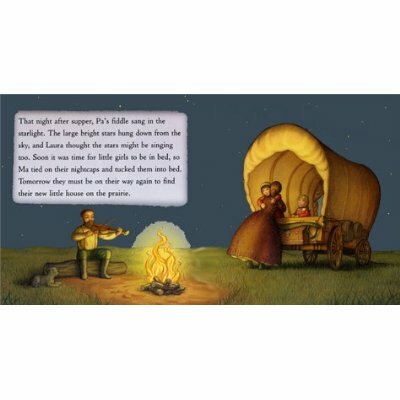 These picture books seem like a nice introduction to Little House stories to your very young children. We have only the original Garth Williams illustrated chapter books (beat up, reread again and again, missing covers) and so we wait to read them aloud together until each child is ready for long chapters with few (but very wonderful) pictures. And, it doesn’t matter how many times I have to reread them aloud for the next child. I enjoy it every time. A lovely post you’ve shared introducing the Little House stories. Thank you so much. We love the books as well, and my son and I are currently reading Farmer Boy (one chapter a night like you). My 2 year old daughter loves the picture books, and I actually think my son has a visual image now when we read the chapter books, so that’s been an added benefit. What is your favorite book in the series and why? I know your post isn’t new, but I wanted to comment anyway. 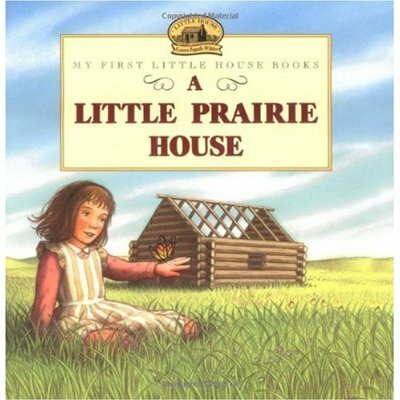 I was trying to find out how many “My First Little House” books there are…and there was a google link to this post. 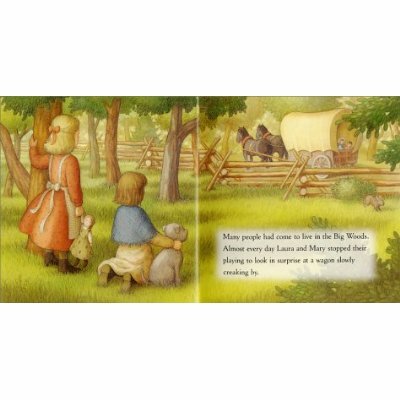 I LOVE the Laura Ingalls Wilder books and all things pioneer. My mom passed her deep love of pioneer books on to her four daughters…and as we are grown and having daughters of our own, we are passing the love along to the next generation. I actually had two sons before my daughter, and thought they wouldn’t want anything to do with the books. 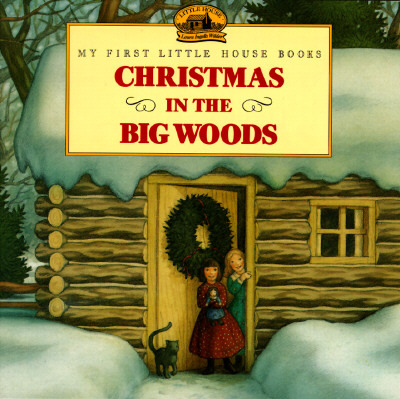 However, to my delight, my first son’s second grade teacher read “Little House in the Big Woods” as a read aloud to her class this year. My son absolutely loved it and told me each day about the new happenings in the story. We then got “Farmer Boy” on cd from our library to listen to on several long long drives to visit family members over the holdidays. They enjoyed those, as welll. 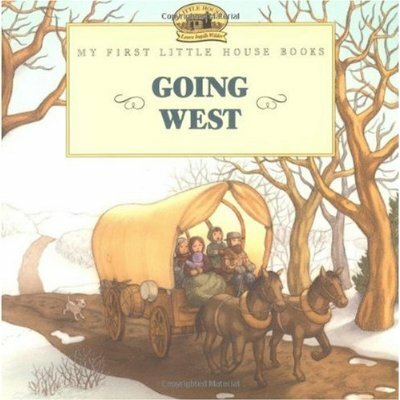 By chance, my mom found “Going West” at our local used book store and eagerly came straight to my house to give my three year old daughter her very first pioneer book. My three year old has fallen in love! This book is read to her over and over and over. We took it somewhere and left it overnight accidentally…and she cried at bedtime because we didn’t have it to read. I cannot wait to buy the rest of them for her! I must confess that the first time (ok…and more than just the first time) that I read “Going West” to my daughter, I actually teared up at the thought of all those aunts and uncles and grandparents kissing and hugging Laura and her family good-bye. The overwhelming emotions that must have been in everyone’s hearts on that day so long ago were so beautifully illustrated in this book. Anyway, thanks for your review of the books. I can’t wait to share them all with my daughter.